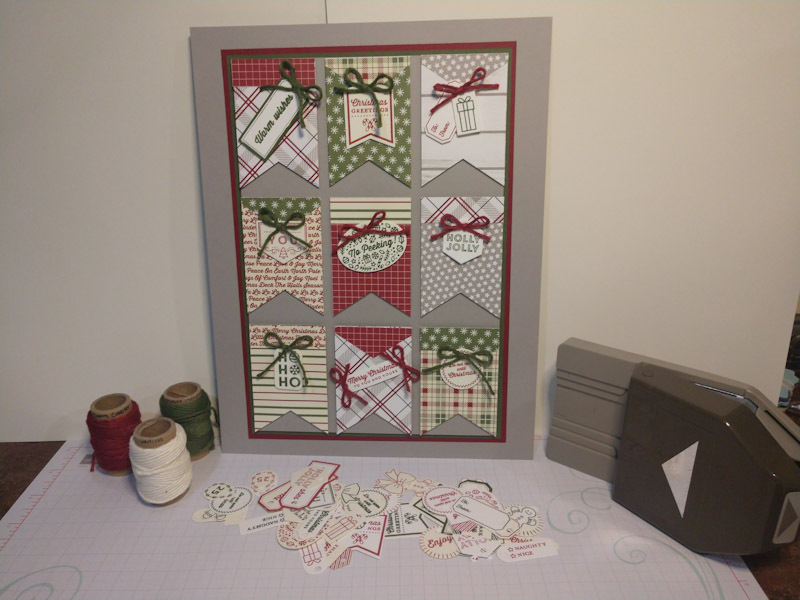 For your creating pleasure today, I have created a sampler showcasing new products from the fresh-off-the-boat 2018 Holiday Catalog! Yay! When I first saw the catalog, I absolutely fell in love with the Festive Farmhouse Suite. 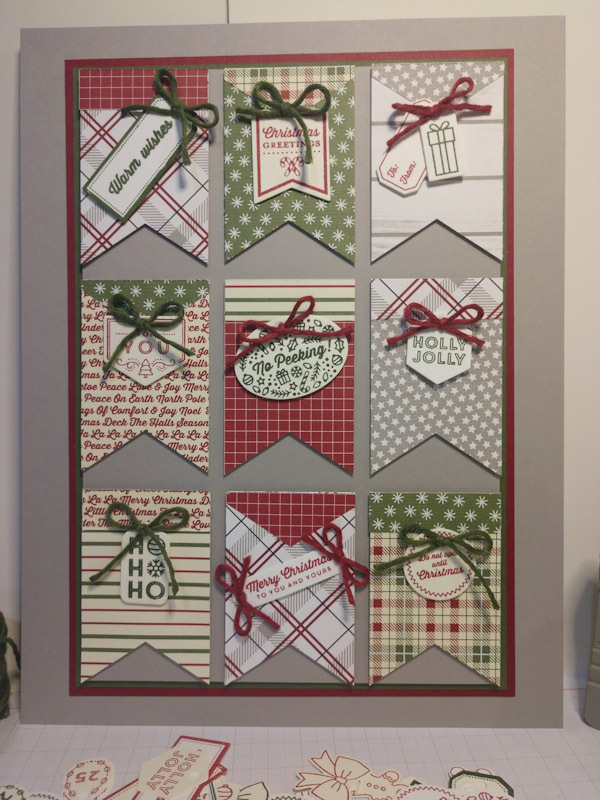 But then, when I was at Vacation Stamping School a few weeks ago, I saw a precious little sampler that used the Tags & Tidings set. 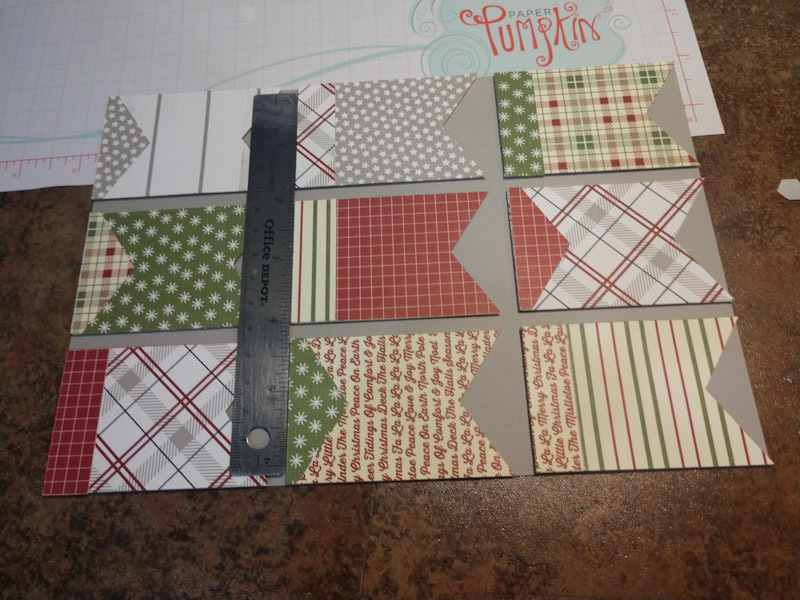 How could I not CASE that using the Designer Series Paper from the farm house set! Here is what I came up with… It’s that not just the cutest? 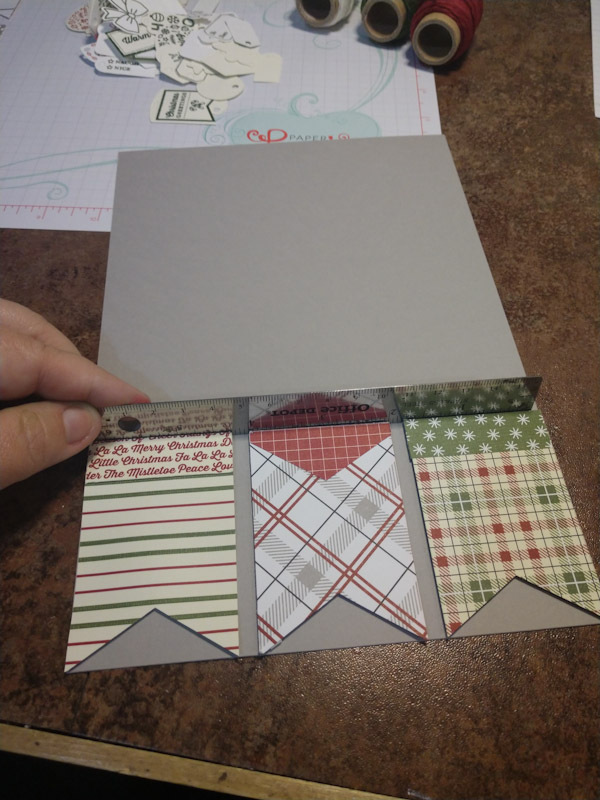 And it was so simple thanks to the one-step stamp in the Tags & Tidings set. Its one piece that stamps ALL the tags in one shot. 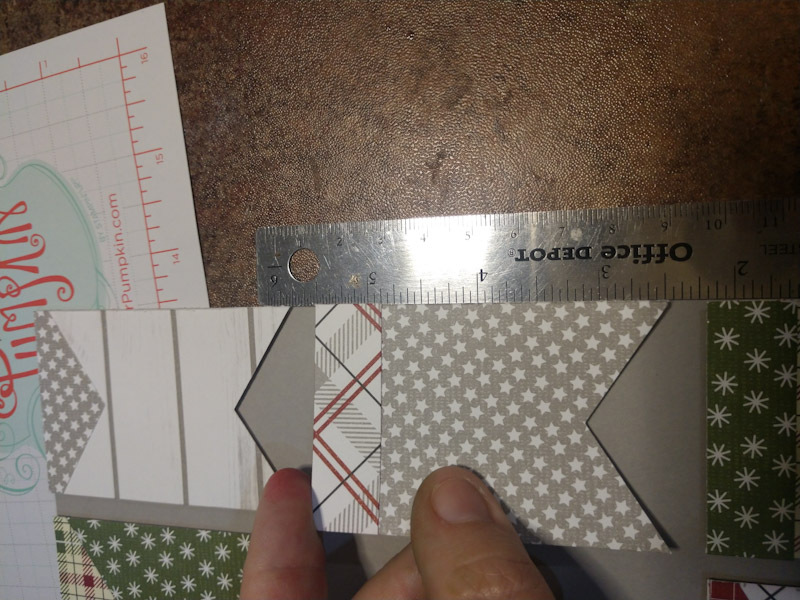 Then, you use the die cut all the tags at once… Easy-peasy… I did stamp and cut four different pieces. Why? Good question! You see, the Designer Series Paper’ color scheme uses both Whisper White and Very Vanilla as background colors. Cherry Cobbler and Mossy Meadows are two other colors. So, I did one of each white and vanilla using both the cherry and Mossy inks. That way I could mix and match and have a good selection of tags. I used the Festive Farmhouse Cotton Twine to tie the bows. 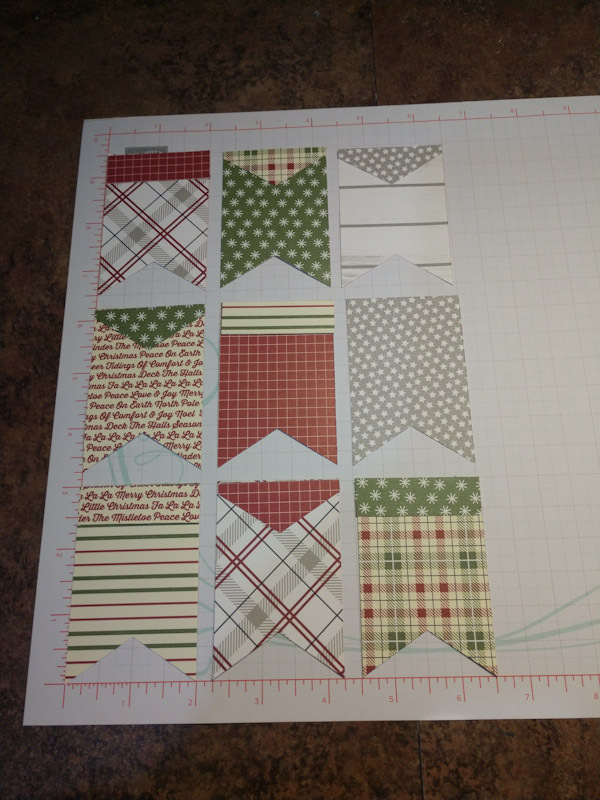 And the Banner Triple Punch to notch the 2″ x 3-1/16″ banners (which cut them down to 2″ x 3″ with some left over for the contrast top of the tags). Other tags are topped with a 2″ x 5/8″ piece of DSP. Here are a few shots of the assembly process. 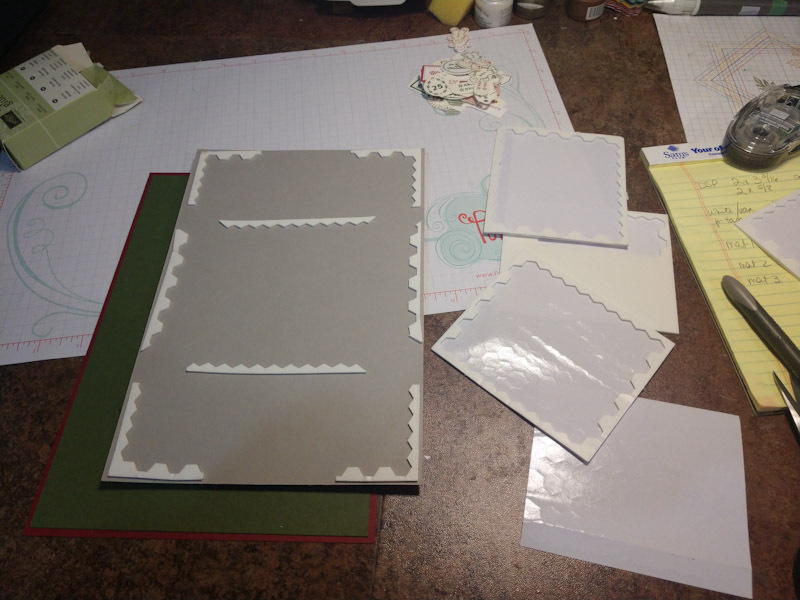 Laying out the tags to figure out the spacing and backing size. Placing the bottom layer. Making sure everything lines up with 1/4″ between. Lining up the top tags. The first piece if the middle row. Last check before being happy they are all straight! The tags were placed on a 9-1/2″ x 6-1/2″ piece of Granite Gray using Dimensionals – the large ones at the top and three mini ones at the points and notch. 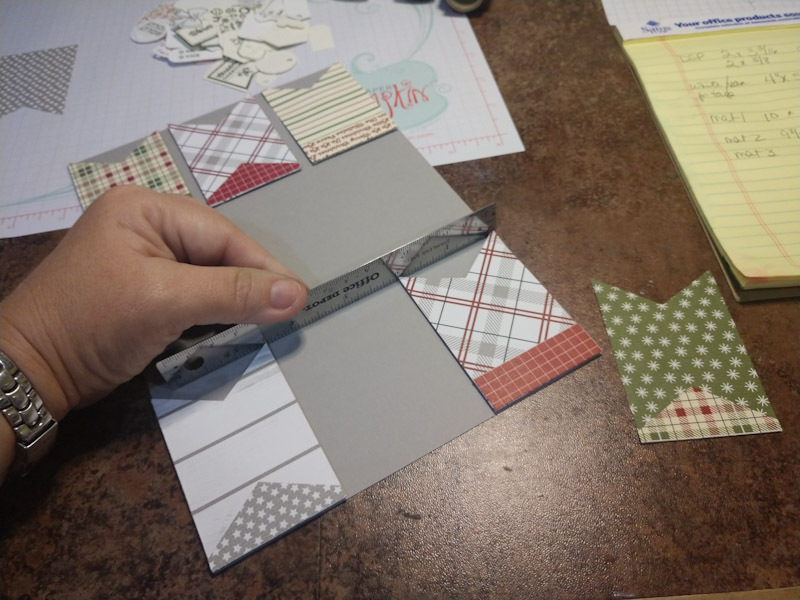 Then, I added everything else using Dimensionals and glue dots.This mat was attached to the 9-3/4″ x 6-3/4″ piece of Mossy Meadow using using the sides of the Dimensionals sheets (see the photo below). Then, I attached this to the 10″ x 7″ piece of Cherry Cobbler using SNAIL, then attached this to a full 11″ x 8-1/2″ piece of Granite Gray. Well, that is my project for today!